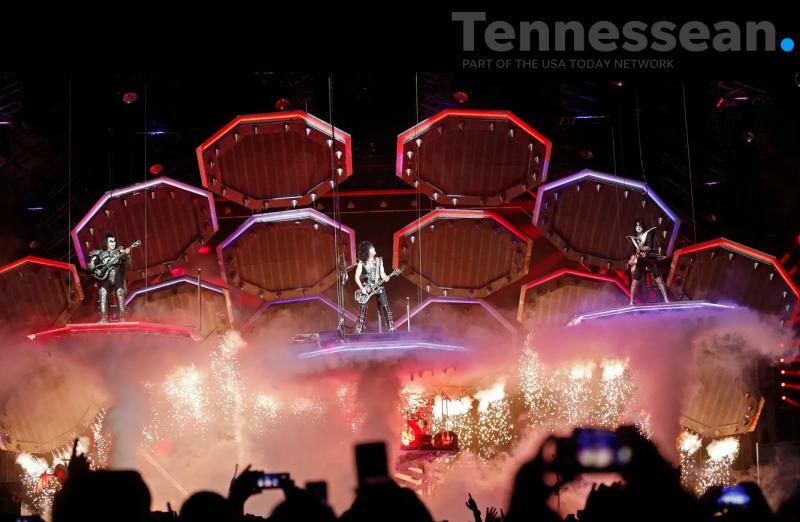 We'll see you tonight on the End Of The Road World Tour at Bridgestone Arena in Nashville! Amazing audience last night at State Farm Arena. Thank you! 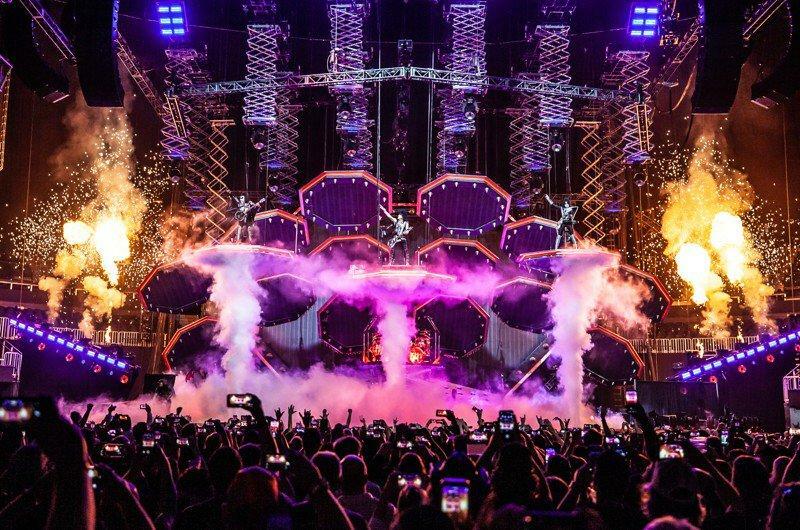 KISS makes a spectacular entrance at State Farm Arena on Sunday, April 7, 2019. The current run of shows is (once again) being billed as their final tour. CLICK HERE to view more photos from the Atlanta show. 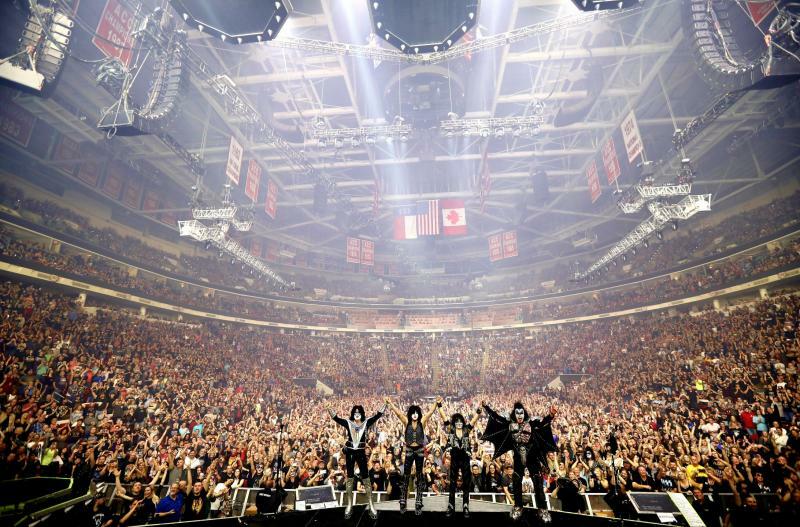 Thank you, KISS ARMY Raleigh! You were amazing tonight at PNC Arena. SOLD OUT banner backstage at PNC Arena. End Of The Road World Tour tonight at State Farm Arena in Atlanta. We'll see you tonight on the End Of The Road World Tour at PNC Arena in Raleigh! Imagine that you are a KISS fan and that you have been so for many years. You’ve got all of the band’s albums and, within the KISS Army, you see yourself as a five-star general. You’ve got at least 20 ticket stubs from their concerts, and though it might be a bit hard to squeeze into it these days, you’ve still got your concert t-shirt from your very first KISS show. 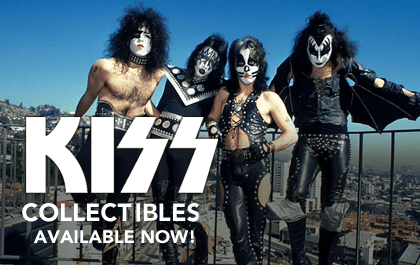 You’ve also got a sizable collection of KISS collectables, and you might even joke that when it comes to KISS trivia, you know more about the band than even Gene Simmons and Paul Stanley. 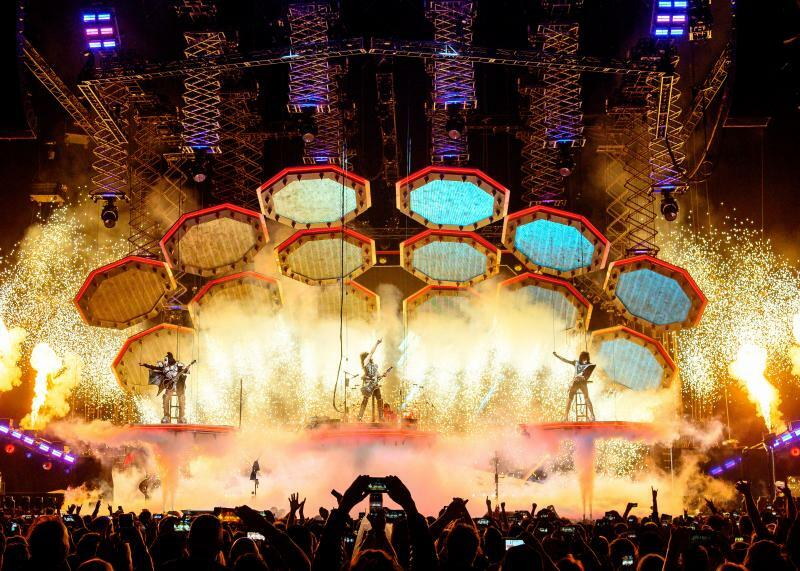 But … have you ever actually walked on the KISS stage? Stood right before their mic-stands? Have you ever held Gene Simmons' bass or Paul Stanley’s guitar? 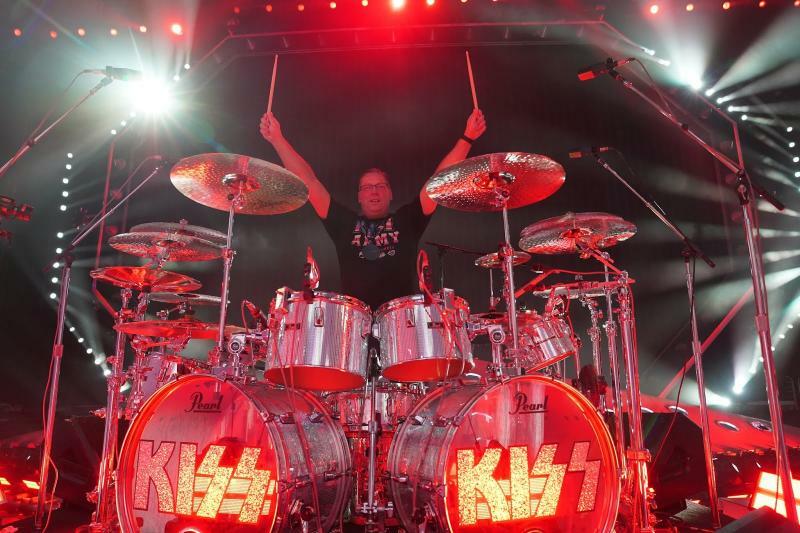 Sat behind Eric Singer’s drum kit? 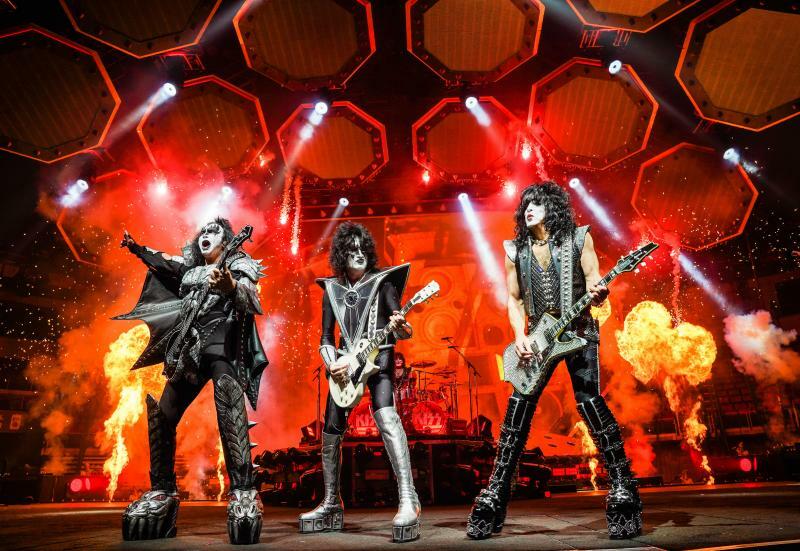 Peeked inside Tommy Thayer’s traveling guitar case? Held Gene’s torch, into which he breathes fire? Tried on Paul’s platforms and Gene’s dragon boots? Hung out with KISS in a relaxed setting before the show, where not only can you get a professionally-taken photo of you with the band, but you can also mingle with the group and take some fun selfies. Well, OK … definitely not. But, with the “Ultimate KISS ARMY Experience,” that’s exactly what you can do. It is the most deluxe VIP package that the band has ever offered to its fans and includes a type of backstage access and on stage access that has never been available before. You literally spend about three hours backstage and then watch the show from a special area, directly in front of the stage, which is actually several feet closer than the very front row. 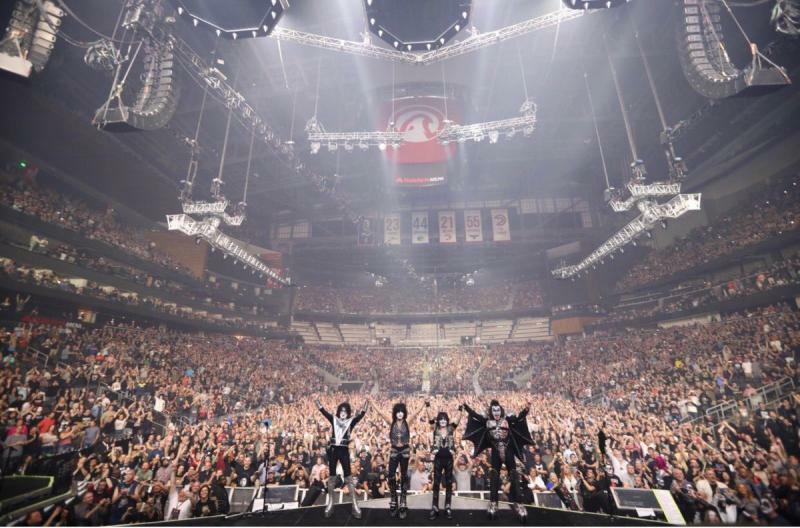 And when KISS recently brought its “End Of The Road” tour to the Wells Fargo Center in Philadelphia, a handful of KISS die-hards did just that. 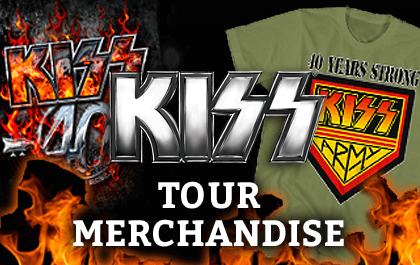 The “Ultimate KISS ARMY Experience” tours are run by Epic Rights, a company that also handles KISS’ tour merchandise. Cost, per person, is $6,500.They are hosted by Keith Leroux, an assistant to the band who also handles its social media. 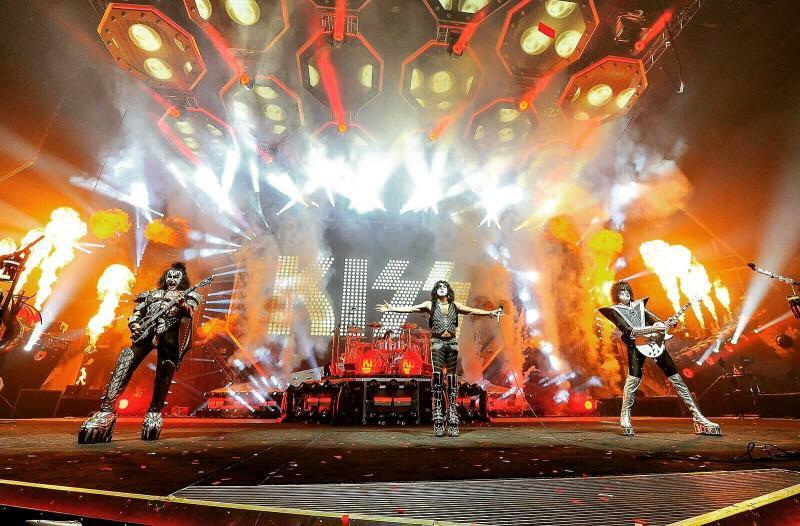 Leroux was chosen to give the tours because he’s not only an employee of the band, but also a die-hard fan of the group with encyclopedic knowledge of all-things-KISS. That, combined with his cheerful demeanor and enthusiasm, makes him the perfect tour guide.